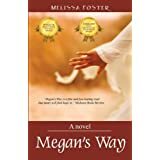 If sad stories make you weep then you’re going to be in big trouble with Megan’s Way, an emotional rollercoaster if ever there was one. Megan is a single parent and she is dying from ovarian cancer and worried about how Olivia, her fourteen-year-old daughter, is going to handle it. Anyone who has children will be able to relate. Even though my daughter is grown now, I imagine life would still be difficult for her if something were ever to happen to me. I enjoyed reading this novel even though I ran across a few areas that I believe could have been fleshed out more. Butting heads with Mom is typical teenager. They all have to try to spread their wings before they are ready and Olivia is no different. But she ends up getting kidnapped and almost raped when she spreads her wings in the wrong direction. Only a close relationship of the paranormal kind with her mother keeps it from taking place. Still, it’s a traumatic event and yet we never hear another word about it. Since Megan did end up gouging the man’s eye out during the rescue, I would have thought it deserved more time. It should have had a longer reaching effect on Olivia. Considering how the novel ends, I also would’ve liked more information on how Megan and Olivia could have this strange connection. A lot of time is spent building toward this mysterious ritual Megan and her best friends have every year. The way Megan was going on about it, and her not wanting Olivia to take part, had me thinking something big would be taking place. Nothing really ever comes of this either and I couldn’t understand why she didn’t want her daughter there, especially since it would be her last time. Because of the way this novel began in the prologue with the fortune telling, I think I was anticipating going in the direction of paranormal at the ritual. I have to say I felt a bit let down. But, these two parts were the only ones that bothered me. I love the mystery involved with Olivia’s father and it even manages to take me by surprise at the end where Megan’s best friend Holly was concerned. I won’t give this one away. You’ll have to read it for yourself. The writing is very good, the main characters 3D and real. Olivia acted a little older than fourteen in my eyes, but then again, she’s an only child who is watching her loving mother die. If that doesn’t make you grow up fast, then nothing will. Without the problem areas I mentioned above, I would have easily given this novel five stars. There is no way to read it and not shed a tear or two along the way. For me, it took the whole box of Kleenex to get through. I’ll look forward to reading more novels by Melissa Foster in the future. Posted by Denna Holm on August 24, 2011 in Archives.